Erin, the founder of Thirsties, started the company with nothing more than a sewing machine and $100 five years ago. Now Thirsties is one of the leaders in the cloth diaper industry! Thirsties is a continually growing company committed to greener parenting and eco-friendly, 100% American made products. All of Thirsties’ diapers are made by WAHMs who work very close to the warehouse, reducing their carbon footprint. Their customer service representatives are all knowledgeable and experienced cloth diapering momsHow fantastic is that? This kind of dedication and attention is what makes me very pleased to be able to offer one of my readers the Thirsties Duo diaper! This diaper has a durable outer fabric that made of polyester with a waterproof urethane coating. The inner lining is a polyester microfleece, one of the inserts is microfiber and the other is 55% hemp and 45% cotton. The two inserts snap together to make one absorbent insert or you can choose to use just one. The Duo diaper is a two size system to get a more customized fit than a one size fits most diaper, but is also a more cost effective option than a true sized diaper. Their website states that the Duo diaper size one will fit a 6-18 pound baby and the size two will fit an 18-40 pound baby. This system will enable you to truly diaper from newborn to potty training. Overall, I have been very pleased with performance of this diaper. My average wetter has started drinking more during the day and is turning into a heavier wetter so I have been using both inserts and this diaper still fits nicely under pants and jeans. Even on the few occasions that I have used only one insert we remained leak-free. I pushed this diaper to my personal limit of 4 hours and while the inserts were soaked, K-Dub’s clothes were still dry! This diaper is very easy to stuff and un-stuff since there is an opening at each end and it is dad-friendly. Somehow my husband can get wing droop on almost any diaper, but not with this one. I did not try this diaper for overnight use as I strictly use a fitted and cover for nighttime since he remains in the diaper for up to 13 hours, but with as pleased as I am with the Duo, I would love to add a Fab Fitted and Duo Wrap to my stash! I know that I will be adding at least one more Duo diaper very soon! My only “complaint” about this diaper is that the hemp and cotton insert takes a long time to dry. It is usually still damp when everything else is completely dry, including my fitteds. When I’m putting diapers away I just hang it over the side of my diaper storage system and it’s dry by the next day so it’s really not that big of a deal. Also, to have an entire stash of these could be expensive since you would have to buy two different stashes in size 1 and size 2, but to have a few of these in your stash is a must. I wouldn’t hesitate to recommend this diaper to anyone. In fact, I already have recommended it to a pregnant acquaintance who is considering cloth as a viable option for diapering a newborn while getting a longer life out of the diaper. The Thirsties Duo diaper retails for about $18.50 USD. Thirsties cloth diapers are carried by most cloth diaper retailers. Also be sure to Like them on Facebook and follow them on Twitter to find out about their weekly giveaways and other promotions. >Due AIO in size 2 in warm stripes! >I love the blackbird print and think there 2 size system is awesome for a better fit even if it costs a bit more in the beginning! >I love their black bird print too, and I think I'd pick size 2 so my older girl could use it too. >I'd pick warm stripes in Size 2. >I also like their Thirsties Super Wash! >i would try their AIO. >I would really like to try the Thirsties wash and Thirsties pre-wash.
>I would pick the blackbird in size 1. >I'd like to try the Duo Fab Fitted. >I would love the Hoot in a size 1 as I am expecting a little boy in July. >I would love to try their new AIO! >I'd choose the Hoot print, size 2, in snaps! >I would choose the Hoot print in size 2, snaps closure if I won! >Black bird in size 2 with snaps! >I'd like the duo diaper in rose for my new grandaughter due in July! >I would also love to try a Thirsties fitted diaper and if I won I would choose the orchid color! >I would choose Alice Brights in size 2 snaps. I would also love to try their new AIO. >I really want to try the super wash! >I'd love to have the Duo AIO in Blackbird size 2. I also love love love the striped legwarmers in the top picture- where did you find those? >I would choose Blackbird size 1. >i would like to try the thirsties wipes. >They're Agoo leggings. I got 4 pairs of them on Baby Half Off. They're all very cute and the quality is right on par with BabyLegs. Actually they're a little softer than BabyLegs. >I would love to try their new AIO. I have a Duo Fab Fitted, and an AIO would round out the Thirsties stash nicely (with some wipes). 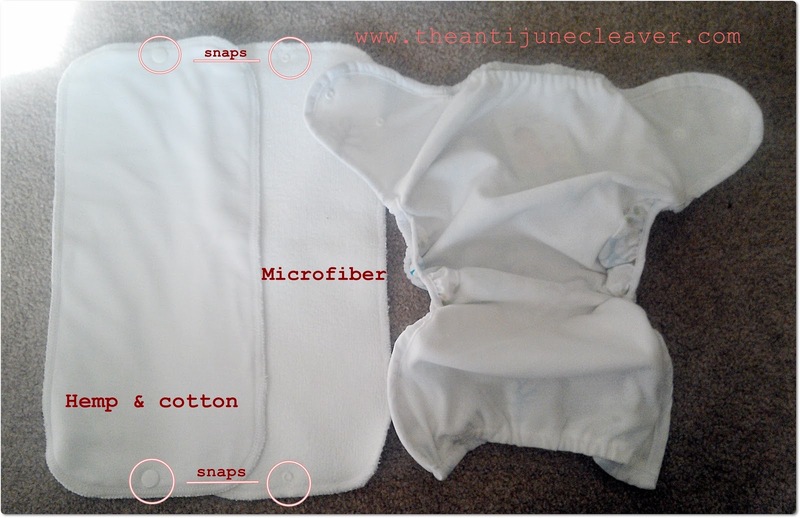 >I would love to try the new AIO, and I'd also love to have this diaper in Blackbird! >I'd like a size 1 in Rose! I love their duo covers! >I'd like the AIO in Blackbird size 1. >I'd choose the Duo Diaper in Alice Brights. I love that print! >I love the blackbird print! And I hear Thirsties AIO are great!! >I would love the Alice Brights print in size 2. >I like the Hoot print. I'm still wanting to try the AIO. >I love the Hoot print. >I would try their Duo AIO diaper! >I would love to try their fitted diaper. I have the cover and need more than just 2. >I would pick a size 2 in mud with snap closures! >I like the Super Wash! >I'd try the Duo AIO in Blackbird 🙂 Cute! >I'd try the duo size two in Hoot. Super cute! >I would try the Thirsties Duo AIO in Hoot. >Thirsties Duo Wrap Fitted diapers and covers. >I would get the Duo Diaper in Black Bird size 2! >I love the Blackbird print, but I already have three diapers with that print (! ), so I'd probably get Mango. Thanks for the giveaway! >I would love to try the DUO help prefold in the Blackbird print, it's adorable! >I'd like to try the Duo All in One in Alice Brights. >If I won I would choose the aplix closure in alice brights. >Black bird or Hoot – so cute 🙂 Entering as Erin Cox on the RC form. >Black Bird is so cute! >I love the Alice Brights print- my little one is getting close to size 2 at this point. I also may try the duo hemp prefold at some point. >I love the Hoot print duo! So cute! >Duo diaper sz 2 warm stripes. >I'd like to try the duo wrap size 2. >I would like to try the cool stripes duo AIO! >I would like to try the AIO size 2! >I like the alice brights print! >I would pick the Alice brights pattern, it's so cute! >I would love to try the duo hemp prefold! >I would like to try the Thirsties Diaper Ointment! >I would choose the Alice Brights Duo Diaper. >I would love to try their Duo All In One Diaper, the alice brights print. I would also love to try their Super Wash! >I would really like the Cool Stripes Duo. >I love the way these Duo diapers work. I would choose the Black Bird print – so cute! >i love the blackbird print too!! love love! >I want to try the Hemp prefolds!